Take a glance around your house. What does one see? you almost certainly see several things that area made of material, like curtains, furniture, flooring, and even the garments in your closet. Material is such a giant a part of our lives that there is a complete industry dedicated to creating it, called the textile industry. The textile industry is the industry responsible for taking either a man-made or natural fiber and spinning it into yarn, which is then woven or knitted into a fabric. The textile industry also has many other areas, such as design, research, manufacturing, and distribution of fabric. There are even individuals that work within the textile industry as textile engineers. Engineers are those professionals that create and design new structures, products, or systems, and textile engineers design, create processes and procedures for, and work with or invent equipment that makes fabric, yarn, and fiber. They focus on the sciences that pertain to all of the activities within the textile industry. Let’s now learn more about textile engineering. Textile engineering is an important part of the textile industry. Textile engineering utilizes science to develop all sorts of fabrics and yarns as well as to analyze polymers used to create fiber. Many textile engineers work in the southern part of the United States, but there are textile mills all over the country and all over the world. One of the most popular places for the textile industry is in Bangladesh, where their economy relies on it. From records it is found that there were 29 satellite type vocational schools in the territory of Bangladesh during the British colonial rule between 1911- 1947. Formal textiles education began in 1954 in the country with the start of diploma course in textile technology (first delivery 1958) in the then East Pakistan Textile Institute (later became widely familiar as Textile College). The same textile college was further updated to bachelor level (B.Sc. in Textile Technology) in 1978 with the establishment of the College of Textile Technology (CTT). Now the same institute has been turned into first textile university of the country (Bangladesh College of Textiles). Another milestone was the establishment of professional training center for textile professionals- the Textile Industry Development Centre (TIDC) under a public sector organization Bangladesh Textile Mills Corporation (BTMC) in 1981 with the technical and financial assistance of UNIDO. Now TIDC is known as NITTRD which is a public-private partnership institute. By this time, the Department of Textiles (DOT) that came into being in 1977 took fresh initiative for reintroducing vocational and diploma education. It was sometime around 1986 when the national NGOs have started imparting textile vocational education/ training, and private university education in Primary Textile & RMG started from 1998. Basically Textile Education can be divided into three levels; (a) Entry level, (b) Mid level & (c) High level Textile Education in Bangladesh. Entry level is for Textile Vocational Education, Mid level is for Diploma in Textiles & High level includes B.Sc. as well as M.Sc. in Textiles. Entry level Textile Education: Entry level Textile Education is provided by Department of Textiles & Curriculum is implemented by Bangladesh Technical Education Board (BTEB). Its equivalent is Secondary School Certificate (Science). 40 Textile Vocational Institutes conduct vocational certificate courses in textile & RMG trades. Bangladesh Handloom Board under Ministry of Textiles & Jute also run 1 large training center (Tant Proshikhan Kendra) at Narsingdhi district and 5 sub-centers in different places of the country to provide training in the areas of handloom weaving and related dyeing/printing. There are also some NGOs and private run centers/institutes providing 8-class equivalent vocational education/ training. Also there are 5 technical training centers under the Bureau of Manpower, Training & Employment (BMET) under the Ministry of Labor & Employment (MOL&E) to offer textile & RMG courses. From 40 textile vocational institutes all over the country in total 13055 students has been passed out so far (up to 2010). Mid level Textile Education: Diploma in Textile Engineering and manufacturing technologies is put in the mid level Textile Education in Bangladesh. Department o Textiles (DoT) provide Diploma in Textile Engineering Education program. Currently only 3 Textile Institute such as Textile Institute, Tangail; Textile Institute, Dinajpur ; Textile Institute, Barisal are providing Diploma in Textile Engineering under DoT. 4 new Government institutes are in the pipe line as well. High level Textile Education: Bangladesh University of Textiles is the only textile university in Bangladesh. Along side same graducation provided by Government Textile Engineering Colleges Textile Engineering College, Noakhali, Pabna Textile Engineering College, Chittagong Textile Engineering College, Shahid Abdur Rab Serniabat Textile Engineering College, Barisal, Zinaahdah Textile Engineering College, Bangabandhu Textile Engineering College (BTEC). Two Public university named Mawlana Bhashani Science and Technology University (MBSTU) and Dhaka University of Engineering & Technology (DUET) located at Tangail & Gazipur respectively have Textile Engineering Department. Along with B.Sc. degrees MBSTU is also offering M.Sc. Degree. As per data collected from University Grant Commission 12 Private Universities have approved Textile Engineering/Technology Department. Structure of textile education in Bangladesh. Numerous universities in Bangladesh offer degrees in textile fields, including a number called textile universities that specialize in textile education. Textile courses offered include spinning, weaving, knitting, dyeing, printing, finishing, garments and fashion design. Bangabandhu Textile Engineering College (BTEC), Kalihati, Tangail: Affiliated with Bangladesh University of Textiles (BUTEX) . It was formerly called the Bangladesh Institute of Textile Technology (BITT). Chittagong Textile Engineering College (CTEC): Affiliated with Bangladesh University of Textiles, Tejgaon, Dhaka. 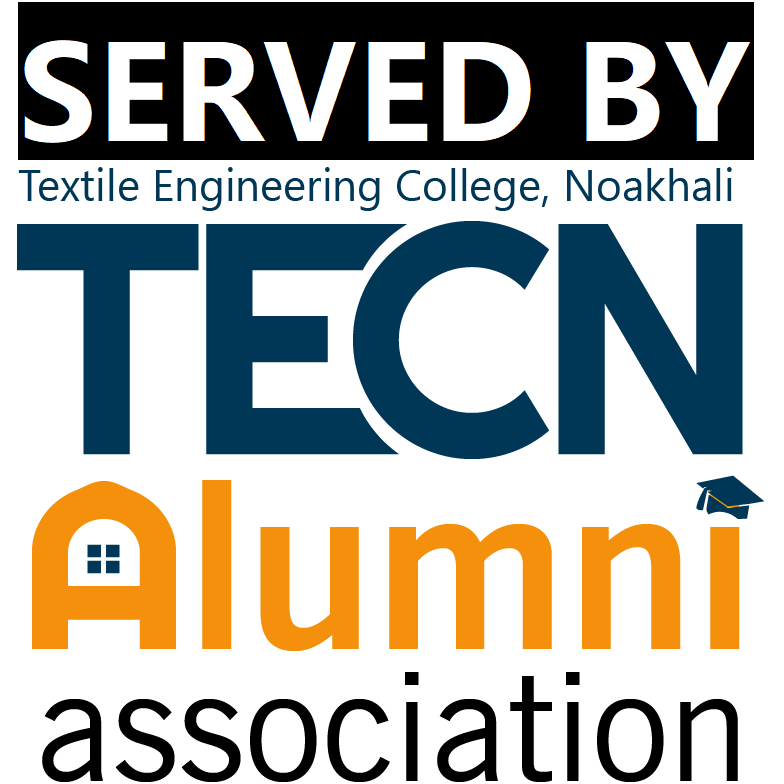 Begumgonj Textile Engineering College, Noakhali: Affiliated with Bangladesh University of Textiles, Tejgaon, Dhaka. Pabna Textile Engineering College (PTEC): Affiliated with Bangladesh University of Textiles, Tejgaon, Dhaka. Shaheed Abdur Rob Serniabat Textile Engineering College (SARSTEC), Barishal: Affiliated with Bangladesh University of Textiles, Tejgaon, Dhaka. Textile Engineering College, Jhenidah: Affiliated with Bangladesh University of Textiles, Tejgaon, Dhaka. National Institute of Textile Engineering and Research (NITER) is a constituent institute of the University of Dhaka offers B.Sc in textile engineering. It is run by Ministry of Textile and Jute, GoB & BTMA. NITER is now second largest textile educational institute in Bangladesh. Formally NITER was a public institute named TIDC. It is the first and only public–private partnership (PPP) education institute in Bangladesh. And 2nd in textile university of banglasdesh. There are several diploma institutes in Bangladesh under the Bangladesh Technical Education Board (BTEB) on order of Institute of Textile Engineering and Technology (ITET). Apparel Institute of Fashion & Technology (AIFT), affiliated with National University. Bangladesh Institute of Business & Technology (BIBT), affiliated with National University. BCMC College of Engineering & Technology, affiliated with University of Rajshahi. BGIFT Institute of Science and Technology (BIST), affiliated with National University. Chittagong BGMEA Institute of Fashion and Technology (CBIFT), affiliated with National University. Chittagong Institute of Engineering and Technology (CIET), affiliated with University of Chittagong. Chittagong Institute of Fashion and Technology (CIFT), affiliated with University of Chittagong. College of Fashion Technology and Management (CFTM), affiliated with National University. Dhaka Institute of Fashion and Technology (DIFT), affiliated with National University. Inspiration Institute of Design and Technology (IIDT), affiliated with National University. Institute of Science, industry and Technology (ISTT), affiliated with National University. National Institute of Design (NID), Dhanmondi, Dhaka, affiliated with National University. National Institute of Fashion Technology (NIFT), affiliated with National University. Newcastle University College, affiliated with University of Chittagong. Professional Institute of Science & Fashion Technology (PISFT), affiliated with National University. Sikder College of Textile and Fashion Technology (SCTFT), affiliated with National University. Shyamoli Textile Engineering College, affiliated with University of Dhaka. TMSS Engineering College, affiliated with University of Rajshahi.